The food you eat can make you sick. If you’re not sure, be on the lookout for these warning signs to know if you need food allergy testing. An estimated 15 million people in the United States have food allergies. Allergic reactions can occur immediately or a couple of hours after consuming certain foods. The symptoms can be mild or severe, and it’s best to get tested if you experience discomfort regularly. Otherwise, your health will suffer. 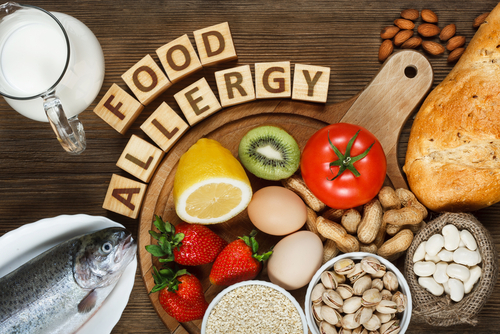 Here are five warning signs to tell if you need food allergy testing. A common allergic reaction symptom to food is hives. These can range from being mild and not so obvious to more painful, red, and itchy. Hives or eczema flare-ups occur when your body feels as if a particular food is harmful to you. In response to this, it releases histamine and other chemicals into the bloodstream. Itchy hives tend to appear during exercise. If you start to see this pattern, exercise a few hours after eating in order to avoid these symptoms. Stomach pain and other digestive problems, including diarrhea, could be a warning sign for a possible food allergy. Having gluten allergy or Celiac disease causes your immune system to respond with stomach pain. This usually happens when you eat gluten-containing foods, such as bread, cookies, wheat, rye, and other grains. You can take at home health tests to confirm if you have any specific food sensitivities. Anaphylaxis is the constriction of your airways, making it difficult to breathe. This allergic reaction is severe and may lead to death if left untreated. Furthermore, it may cause severe dizziness, which could lead to fainting and loss of consciousness. That’s because your body is experiencing a shock followed by a quick drop in blood pressure. There is also the possibility that your foods could be causing gas and inflammation within your body. If this is the case, you may want to consider the health benefits associated with CBD oil. You may be prone to this reaction if you have a history of asthma. Children and teenagers are at higher risk too. Some people experience an itchy mouth or itchy ear canals after eating certain foods. Although this may only seem like a mild inconvenience now, the reaction could evolve into a bigger problem later on. You can often treat the itchy feeling in your ears or mouth with medicine prescribed by your doctor. Coughing and sneezing are mild forms of an allergic food reaction, but you shouldn’t ignore them. If you’re experiencing symptoms like congestion followed by running nose, sneezing, and coughing after eating, it could be your body telling you that you’re having an allergic reaction. In case you have any of these symptoms after eating, consider food allergy testing. This way, you can move forward knowing what you’re allergic to and how to deal with a reaction when it occurs. HealthWorks Collective specializes in providing you with information on everything health related. Take a look at our blog for more tips on health, technology, and other interesting topics!